Happy Holidays to all from the orthodontic office of Lisa P. Howard DDS MS! This is the time of year where giving means more than receiving. To see the joy on a loved one’s face as they look in their stocking or open a present is truly what giving is about. The Team at Dr. Howard’s office would like to share some stocking stuffer ideas for your consideration. All of these suggestions apply to patients of different ages whether or not they are wearing braces or Invisalign. 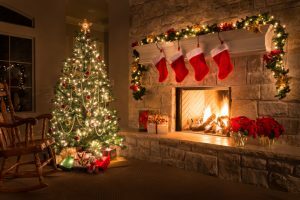 Our entire Team at the orthodontic office of Lisa P. Howard DDS MS in Scarborough Maine wishes you and your family prosperity, health and happiness this Holiday Season and New Year. We are all very grateful to you, our patients, for letting us assist you with your orthodontic needs. So once again may we offer our most sincere wishes for a very Happy Holiday. If you have a stocking stuffer idea you would like to share, leave a comment below. We would love to hear from you.